Livia Iacolare is the Community Coordinator for the Italian edition of Current TV, the award-winning independent information network founded by Al Gore. She’s been also the Assistant Producer of the show “Geek Files”, dealing with innovation and the Internet. Previously she was editor of Intruders.TV, an international videoblog network about Internet startups and web innovation (the first of its kind in Europe). She has published several articles about social media on national and international websites, including Mashable, and she occasionally collaborates with the Italian edition of Wired Magazine. 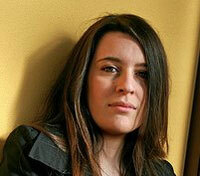 Other than that Livia is a keen LGBT rights activist and enjoys writing, filmmaking and cooking.